You can hide empty seats in the Floor plan and Table plan panes by checking Hide empty seats. This can be useful if you want to show gaps in your seating. 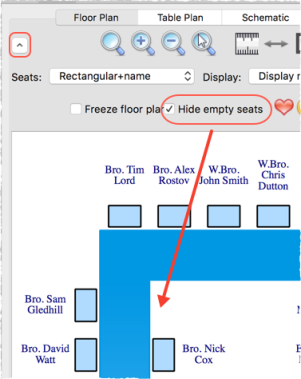 Note Hiding seats makes no difference to the automatic seat assignment algorithm.